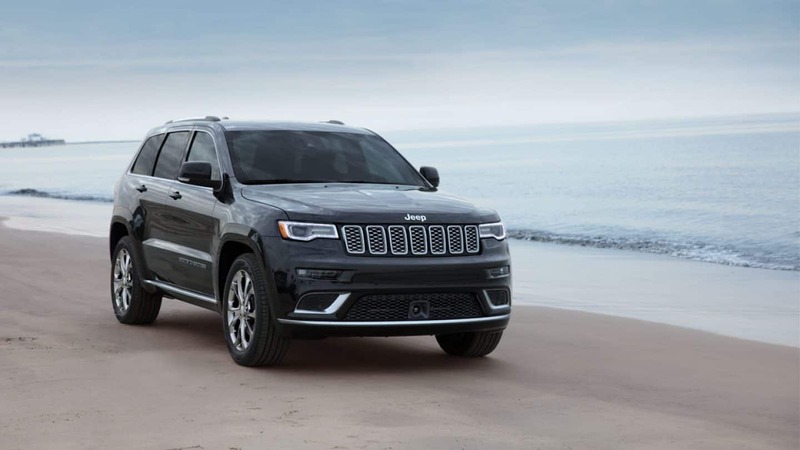 The 2019 Jeep Grand Cherokee is a 5-passenger SUV known for its rugged off-road ability, powerful engines, and luxurious interiors. 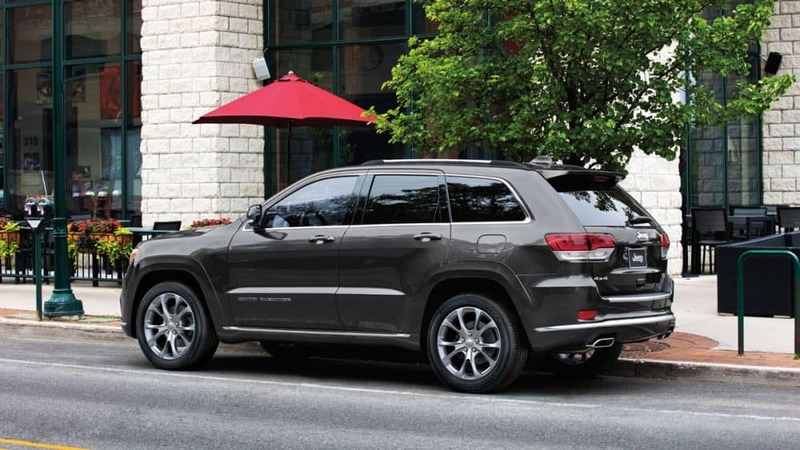 The Grand Cherokee has endless options with seven different trim levels and five different engines available. All trim levels include tech-savvy features like Apple CarPlay and Android Auto. What are the seven different trim options on the Jeep Grand Cherokee? 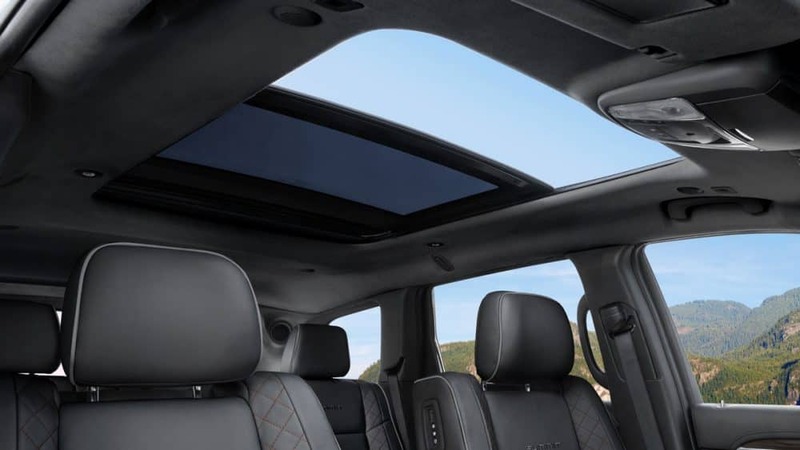 The 2019 Jeep Grand Cherokee comes with an impressive level of trim options, seven to be exact. The different trim options are Laredo, Limited, Trailhawk, Overland, Summit, SRT, and Tackhawk. The Trailhawk is only available in four-wheel-drive, while the SRT and Trackhawk are made with a specialized all-wheel-drive system. All other trim levels are available in rear-wheel-drive or four-wheel-drive. The base model Laredo comes with features such as Android Auto and Apple CarPlay, a six-speaker sound system, 8.4-inch touchscreen, rear parking sensors, keyless ignition, and entry. Next up is the Limited trim which builds upon the Laredo. Remote start, auto-dimming driver side and rear view mirrors, heated steering wheel, heated front and rear seats, leather upholstery, and power lift gate come standard with the Limited. 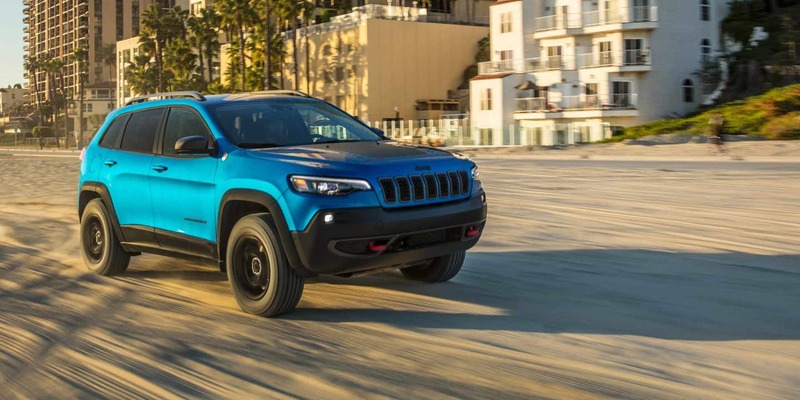 The Trailhawk adds exterior style for all your off-roading needs. 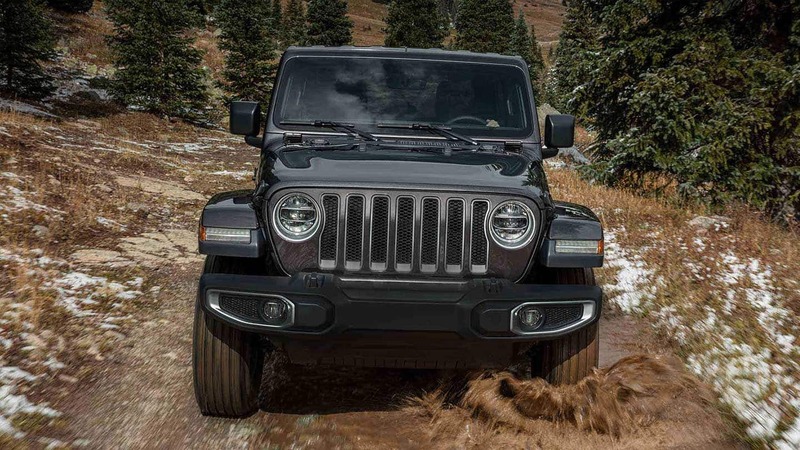 Features included with the Trailhawk are off-road tires, 18-inch wheels, low-range gearing (Quadra-Trac II), Terrain-selectable traction control ( Quadra-Drive II), with electronic rear differential. 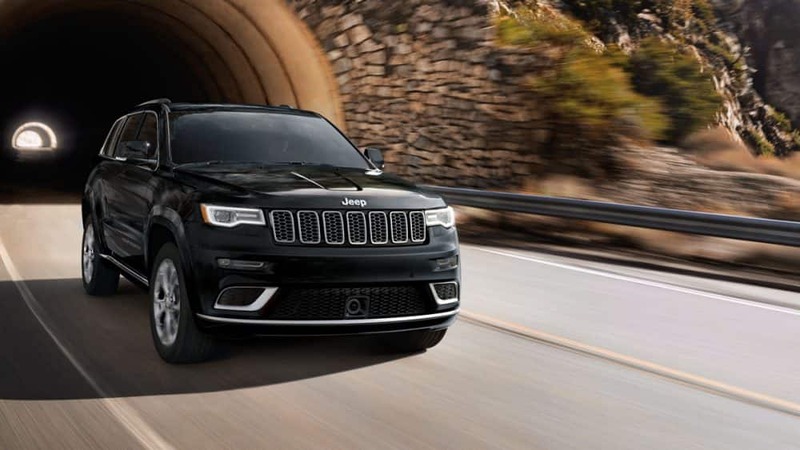 The added features just keep going with adjustable air suspension (Quadra-Lift) which provides five different height settings, hill ascent, and descent control, increased suspension, and tuning specific to the Trailhawk. The Overland trim removes some of the Trailhawks off-road specific features and adds a 20-inch Heritage wheel. 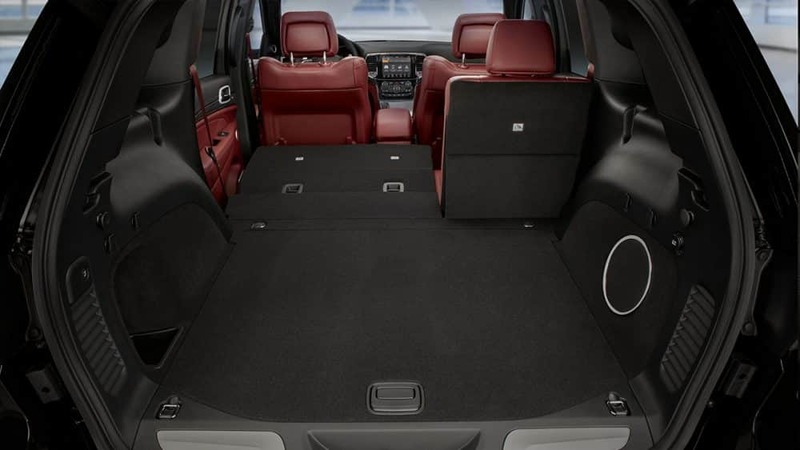 The luxurious Summit trim adds a self-parking system, active noise-canceling technology, upgraded leather upholstery, and a 19-speaker Harm Kardon audio system. The sporty SRT trim level comes equipped with performance tires, sport body kit, sport-tuned steering and brakes, sport-tuned suspension, and limited-slip rear differential. The high-performance Trackhawk builds upon the SRT's equipment. Sporty features included with the Trackhawk are Brembo brakes, aggressive-looking bodywork, adaptive suspension, high-performance tires, and upgraded upholstery. 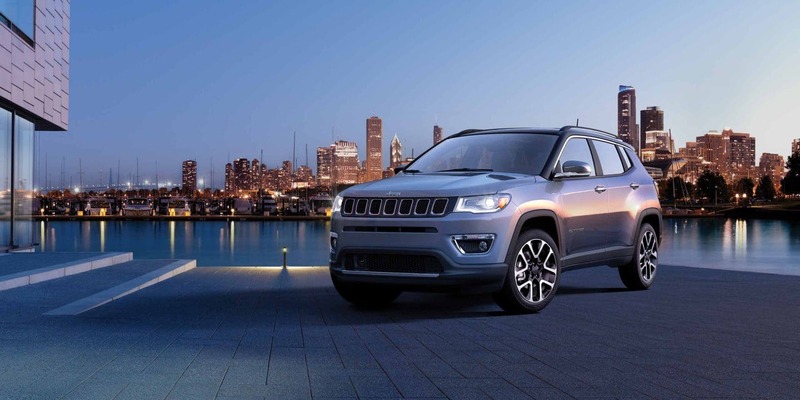 What are the different engine options for the Jeep Grand Cherokee? The variations to the 2019 Jeep Grand Cherokee continues with five different engine options all of which use an 8-speed automatic transmission. To start the Grand Cherokee has a V6 3.6-liter engine that makes 295 horsepower and 260 lb-ft of torque. Next, the Grand Cherokee offers and 5.7-liter Hemi V8 engines that pushes 360 hp and 390 lb-ft of torque. The third engine available is a diesel 3.0-liter V6 that makes 240 hp and 420 lb-ft torque. Standard in the SRT trim is a 6.4-liter V8 engine producing 475 hp and 470 lb-ft of torque. Finally, the Jeep Grand Cherokee Trackhawk comes with an impressive 6.2-liter supercharged V8 engine. Yes, that is the same engine that's in the Charger and Challenger Hellcat and pushes 707 horsepower and makes 645 lb-ft of torque. Rear-wheel-drive comes standard with the V6 engines with an option of four-wheel-drive. The V8 models are only available in four-wheel-drive. The 2019 Grand Cherokee has 7,400 pounds rated towing. How safe is the Grand Cherokee? 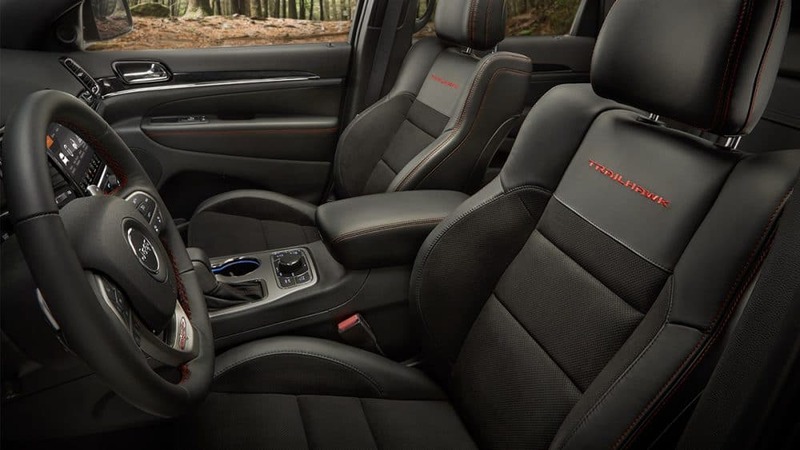 You're sure to feel safe in the 2019 Jeep Grand Cherokee with more than 70 safety and security features whether you're driving around town or down off-road trails. Safety and Security features include automatic emergency braking when a collision appears imminent and the driver does not take action. 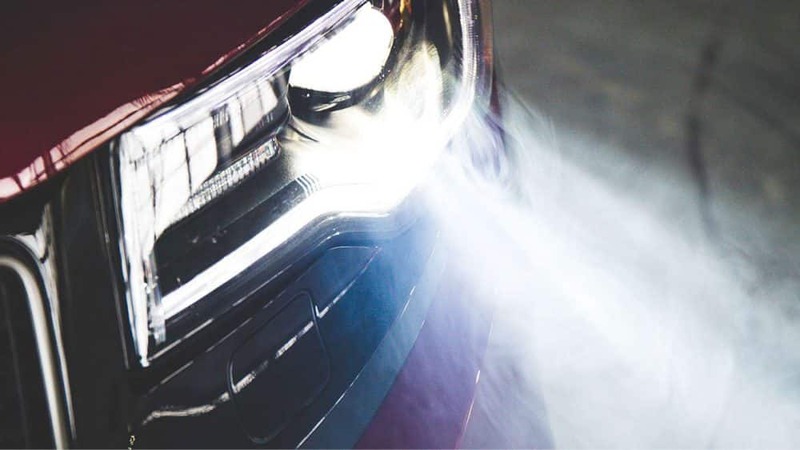 Lane-departure warning and lane-keeping assistance also come standard in the Grand Cherokee, along with blind-spot monitoring and rear cross-traffic detection. 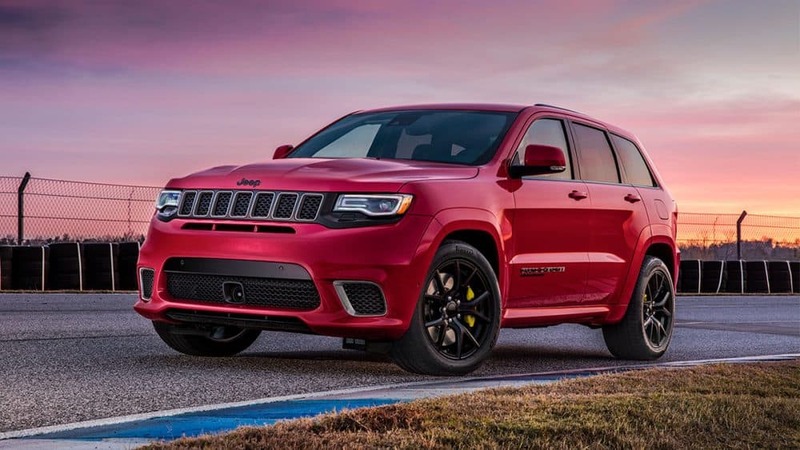 Whether your driving around with your family and friends, adventuring on off-road trails or racing down the drag strip there is a 2019 Jeep Grand Cherokee model for you! Schedule an appointment with us today to test drive one or all of the different Grand Cherokee models.